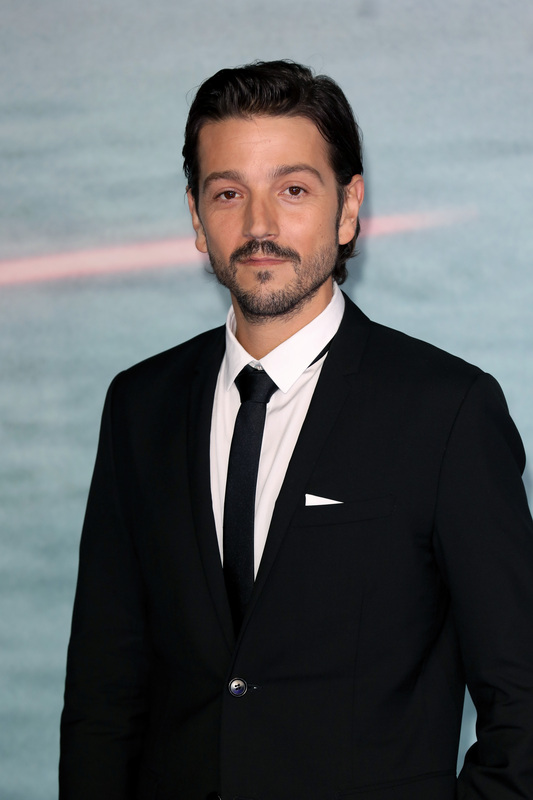 You may have found you are now interested in Rogue One: A Star Wars Story star Diego Luna. If so, you just might be wondering about his personal life. For example, is Diego Luna single? Well, that's actually one question I can't answer completely. It seems that Luna leads a pretty private life and is careful not to talk about his personal life. However, that doesn't mean his love life hasn't ever made headlines. For those who don't know, he was once married. In March 2013, Luna and and Camila Sodi split after five years of marriage. They released the following statement to the Associated Press (via Huffington Post) regarding their breakup: "We would like to announce that regretfully we have decided to separate by mutual consent. We just want to say that despite how difficult this is for us, we’re doing it in a cordial and respectful way." They also have two children together, Jerónimo, 7, and Fiona, 5. After his divorce in October 2013, the Latin Times reported Luna was linked to Olga Segura, also an actor. They were reportedly seen having dinner in Los Angeles and getting cozy. It's unclear if the two actually dated, but it appears they are no longer connected romantically. Other than that, between 2013 and 2016, it doesn't seem like Luna has been in any serious relationships. Though, the Milk actor just might know how to keep his personal life under the radar. Based on the small amount of reports surrounding it, that certainly seems to be the case. As of 2016, it doesn't appear the Dirty Dancing: Havana Nights actor is dating anyone. However, he was linked to Kirsten Dunst in June. According to the Latin Times, during the 69th Annual Cannes Film Festival in France, the two actors were spotted exiting a nightclub together. Apparently, these photos showing "Dunst in Luna's arms" also fueled the rumors. Luna spoke with Mexico's Radio Fórmula (via the Latin Times) in June about the incident and said about the pictures, "I didn't even see them, but they told me about them." He also opened up about his friendship with Dunst, "I get along very well with her from before, only that nobody has every taken photos of us, but we're good friends. We've been friends for a long time, ever since I began to travel to the United States with Y Tu Mamá También , that's where we met." Based on the latter, it appears that Luna is willing to comment on false reports and clear up any rumors surrounding his personal life. If or when he is dating someone, the actor will probably let you know. Though, it doesn't seem like it's his top priority, which just might be why Luna's love life isn't making headlines left and right.